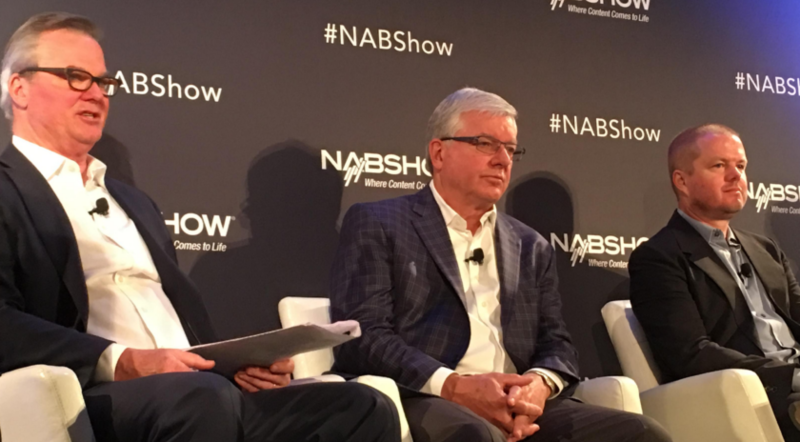 LAS VEGAS – There are six crucial ingredients to building a successful over-the-top (OTT) video service, according to the content and service providers who spoke on an NAB Show panel April 10. And those ingredients are creating the correct content strategy and market approach, quality video delivery, compatibility with every major device, creating a positive viewer experience and effectively using data to not only gauge viewership, but also find and keep new OTT subscribers, they said during a session called “The Six Pillars of a Successful OTT Video Strategy” that was produced in partnership with Media & Entertainment Services Alliance (MESA) member NeuLion. Having good content is just the start; it’s also important to keep content fresh so that viewers keep coming back. “We listen to our audience first and foremost,” Scott Levine, SVP of product and technology at Univision Communications, said, adding: “We have a very deep connection with our audience. And so, for everything we do, it’s about an evolution…. It’s always about a constant evolution.” The company is always “trying new things,” he noted, giving as an example a broadband lifestyle channel it recently launched in Chicago. What’s key is “always talking to your consumers and finding their passion points and evolving,” he said. One key to the success of the PlayStation Vue OTT service was making it a “great value proposition” for consumers, Dwayne Benefield, VP and head of PlayStation Vue at Sony Interactive Entertainment, said. “We constantly look at what channels we’re adding to our bundles. But, equally important, is we like the idea of choice and flexibility,” he said, noting PlayStation Vue is “the only one of our peers that actually allows consumers to buy a la carte” without an entire bundle. Users of Instagram, however, can now easily keep track of their favorite teams and what’s happening in the league, he said. The level of video quality is “going to drive, ultimately, how successful your OTT service is,” he said. Agreeing with that assessment, Joseph Ambeault, SVP of product and technology at Discovery Communications, said: “You can shoot yourself in the foot if you don’t get video quality right.” When the video quality stinks, “retention just plummets [and] engagement plummets” as well, he said. “You definitely have to be on every device,” Hellmuth later said, telling attendees that fans who watch NBA games on multiple devices are the ones most likely to renew their video memberships. As an example, he noted that Sony was able to see from such data that there was even more interest than it expected among PlayStation Vue subscribers in the Hallmark Channel after that channel was launched last fall. “It became one of our top 10 channels shortly after we launched it,” he said. Real-time telemetrics, meanwhile, also keep track of service quality, so that if users have an issue, Sony can “rectify it immediately,” he said.